To help me prepare for some of my upcoming speaking gigs (and to finally satisfy my dad's unrelenting request to join), I recently became a member of Toastmasters. Basically it is your dreaded college Public Speaking course but more formal...and more terrifying. I thought getting up in front of a small group of complete strangers and speaking would be easier. I was wrong. However once I got through my first big assignment - the ice breaker speech - I started to feel a little more at ease. I decided to share my ice breaker speech from Toastmasters below. If you've been a long time reader of More Skees Please (thank you!) then you already know most of the story. If you are just landing here, welcome! This is a good "in a nutshell" piece to get you up to speed. Either way, I hope you enjoy! Thanks for visiting! When you hear stay-at-home mom – what comes to mind? A working mom might think: Lucky. A career-driven, childless friend might think: Worthless. A family man might think: Traditional. A corporate ladder-climber might think: Incompetent. “What do you DO all day?” some wonder as they envision the stereotypical images of lounging on the couch in fluffy slippers eating bonbons. I was a gifted student, always applied myself, made good grades and went on to earn a college degree, but I never quite had a true sense of what I wanted to be when I grew up. Except I knew one thing for certain, I wanted to be a mom. Yes, and, I wanted to be a stay-at-home mom. My husband, Ricky, and I both attended Bellarmine, although we met on spring break in Daytona – but that’s an entirely different story for a difference crowd. After graduating, I felt compelled to do a little soul searching so I enrolled in an acting course in Burbank, CA and headed out west with stars in my eyes. I had dabbled in acting as a child – starring in dozens of commercials, print ads and even a feature film called Men Don’t Leave where I played Jessica Lange’s niece. However, I quickly learned that being a child actor where your mom drives you to all your auditions and rewards you for a job well done with dinner at McDonald’s is vastly different than attempting to make show business a career as an adult. While I excelled at Film School, the pull of home, and my boyfriend of several months, was stronger than my desire to become famous. At the end of the 6 weeks I made the trek back to the good ol’ midwest. Shortly after that experience I found happiness starring in my own fairy tale of sorts. I married said long-term boyfriend in 2005 and we welcomed our first baby boy, in March of 2007. I had gotten a job in marketing just before our wedding and had every intention on continuing to work full-time...until I had my son. 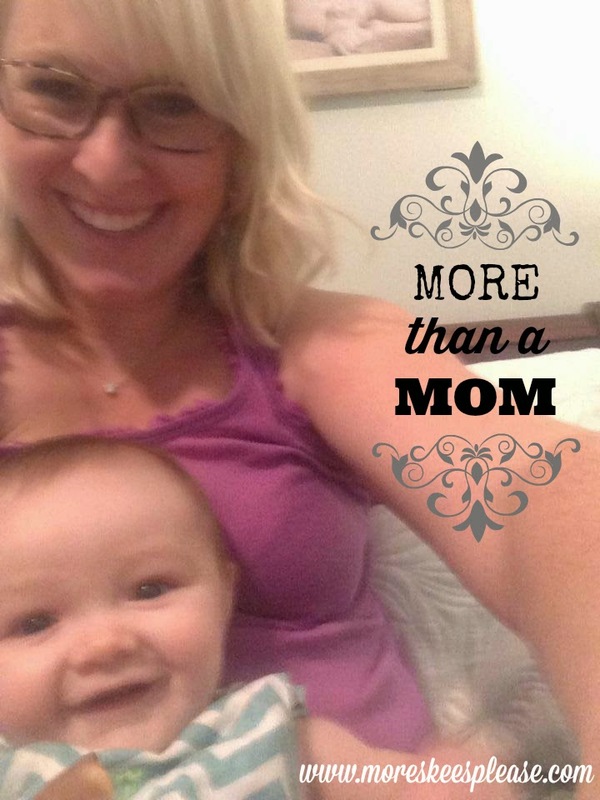 I loved my job, and was well-respected there, but I loved my new role as a mom even more. flexible work proposal. Knowing it might have been a long-shot, I was surprised when they granted me the opportunity to work from home a few days a week, the first ever flex schedule the company had approved. Fast forward 3 months. My husband returned from a weekend bachelor party to find me anxiously waiting for him to start making dinner. “Check the oven first to make sure there’s nothing in it” I told him from the living room. Groggy from the festivities he had partaken in, I waited, and then heard “hey babe, why is there a bun in the oven?” Waited some more. Heard him whisper “there’s a bun in the oven” confused. And finally, he flew into the living room...”Wait, there’s a bun in the oven?” We were pregnant again and due before my first son’s first birthday. Before our second baby boy arrived, we were nervous about having 2 so close together. We knew it was going to be tough. We had no idea how tough. Aiden arrived 5.5 weeks early and shocked everyone, including the doctors, when he presented with some major anomalies. His fingers were fused together, bound up in tight little fists. His toes webbed, his face scrunched. The room had gone silent – not even the OB or nurses had seen this before. We learned later that our second boy had something called Apert syndrome. A very rare craniofacial condition that occurs only once in every 160,000 births. After a 2 week stay in the NICU, we were attempting to make sense of our new life. Along with his condition came appointments, therapies, surgeries. Needless to say it became almost impossible for me to consider going back to work. And thus, my stay-at-home mom gig commenced. Not quite the way I had envisioned it. We are living a very different life than we had imagined as fresh-faced newlyweds, but one that is more fulfilling than I ever could have hoped. I am a mom, just as I had wished to be. And a stay-at-home mom to now FOUR beautiful boys. But the thing that is most amazing about our journey is how motherhood has defined my life. And I don’t mean in a bad way. I’ve always loved to write and in an effort to keep family members informed about Aiden’s medical journey, I began this blog in 2008. Since that time, it has morphed into a lifestyle, parenting and special needs blog with an audience much broader than just friends and family. It has led to outside writing opportunities and published pieces. More importantly, through my blog I have been contacted by families world-wide who have a child with Apert syndrome. Seeing our positive approach and how we advocate for Aiden has inspired countless people. 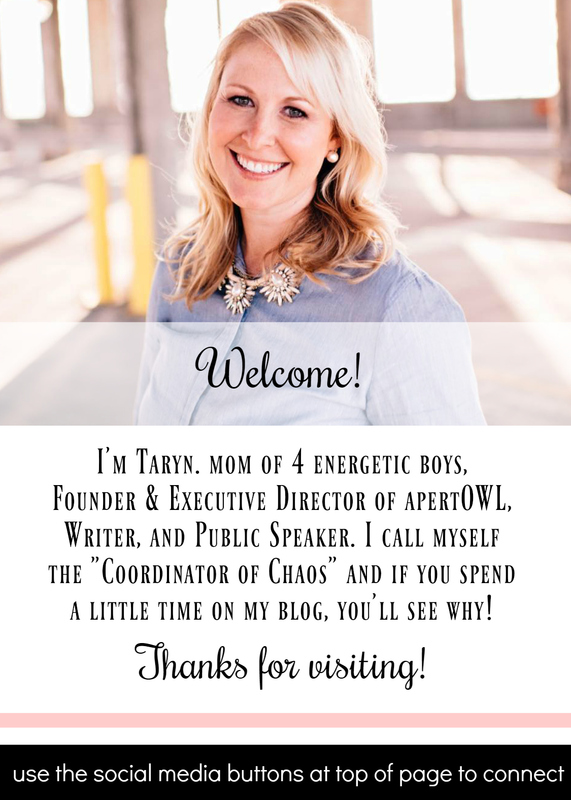 In turn, it has inspired me to take it one step further and create my own nonprofit, called apertOWL, with a mission to be a beacon of hope for those affected by this condition. and family centered care, drawing from our experiences in medical facilities. So think again before you jump to conclusions about stay-at-home-moms. What some might view as a traditional role that wastes a good, solid college degree in my case has been nothing of the sort. I have the best of both worlds. Becoming a mom and embarking on an unexpected journey with a child with complex medical needs has changed me. It has strengthened my heart, solidified my relationships and inspired me to find exactly what it is I was meant to do. Motherhood has given me a purpose and a passion for something I never would have known without it. I intend on making an impact...and some days I don’t even have to get out of my pajamas.